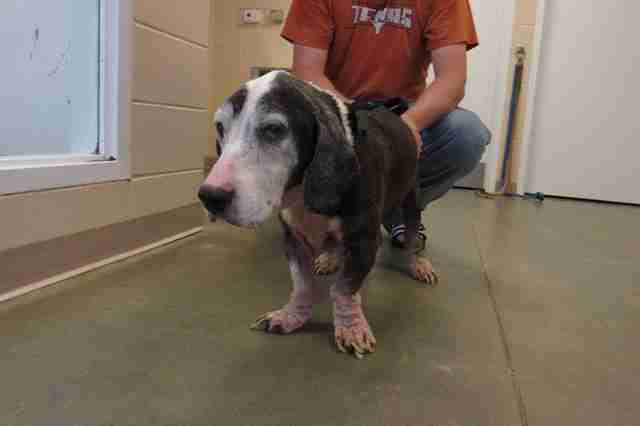 In July, a basset hound named Bo turned up at an Alabama shelter after his elderly owner moved into a nursing home. 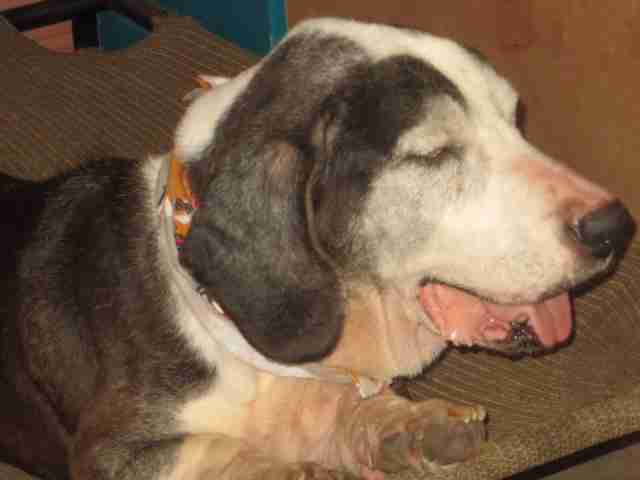 Bo was quite old himself — his owner’s family claimed he was 20 years old. 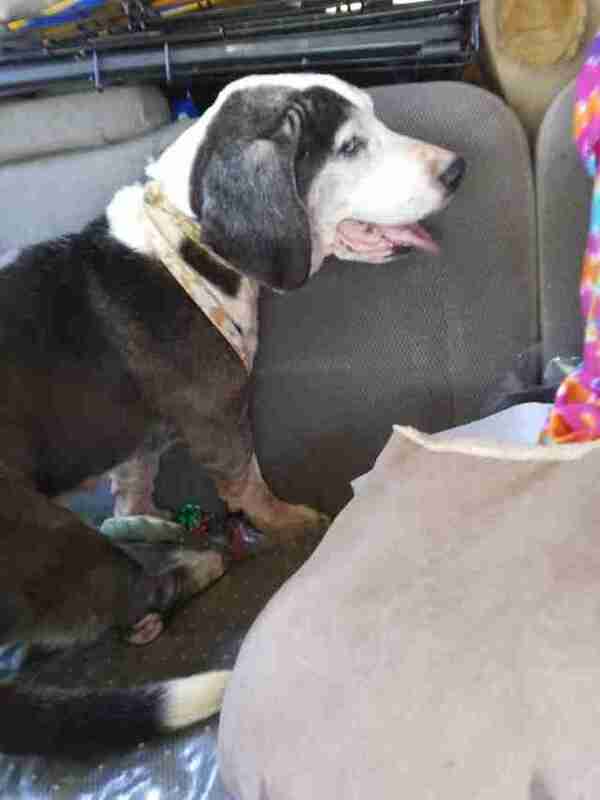 The shelter wrote a post about Bo that went viral — and Tri-State Basset Hound Rescue, a local rescue group, volunteered to take him into its care. When the rescue group wrote its own post about Bo, it caught the eye of Reba Morse, founder of Sandy Wayne Sanctuary of Hope. Morse cares for many senior dogs at Sandy Wayne Sanctuary of Hope, so the rescue group knew Morse’s sanctuary would be the perfect place for him. But before going to live with Morse, Bo went to the vet. Bo turned out to be in very good health, which indicated that his former owner had loved and cared for Bo really well. 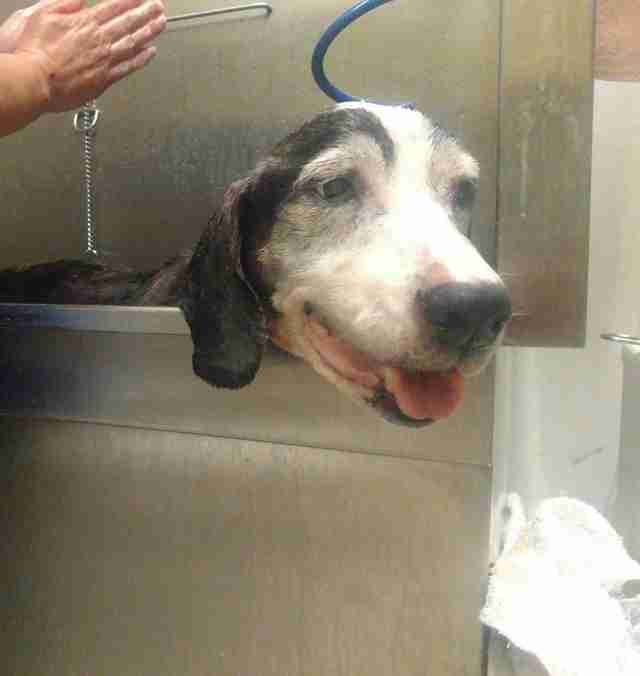 However, the vet wasn't certain Bo was 20 years old — he guessed he was more like 14 or 15. Bo’s age didn't matter at all to Morse, who was determined to give Bo the best life possible at her sanctuary. Bo was also quick to make friends. 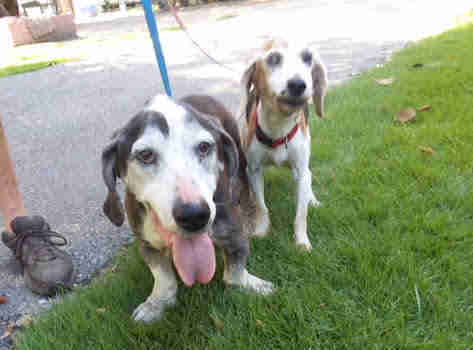 He’s grown especially close to Pappy, an 18-year-old beagle. Normally, dogs who are separated from their owners tend to be sad for a while, Morse explained, yet Bo doesn’t seem too affected about his new living situation. This doesn’t mean Bo didn’t love his former owner — Morse believes this is actually because Bo has dementia. Morse has fallen head over heels in love with Bo, and she wishes for one thing — that Bo’s former owner knows Bo is getting the best care. To help care for Bo at the Sandy Wayne Sanctuary of Hope, you can make a donation. 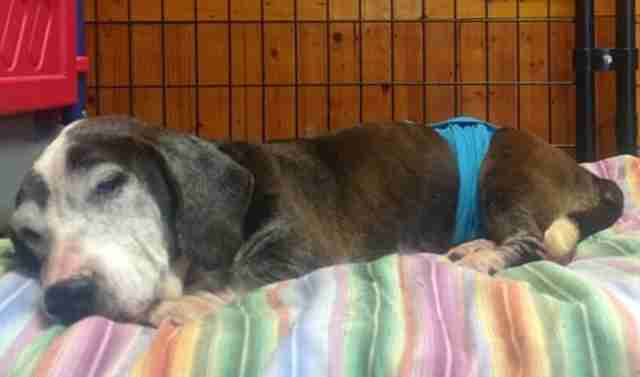 You can also help rescue more dogs like Bo by making a donation to Tri-State Basset Hound Rescue.